Sometimes everything in life does not turn out as planned. Some days ago I was offered know everything about the Folio Society's upcoming James Bond novel if I excepted that that I was under embargo until October 11 at 5 o'clock UK time. The only trouble. I wrote down October 12th. 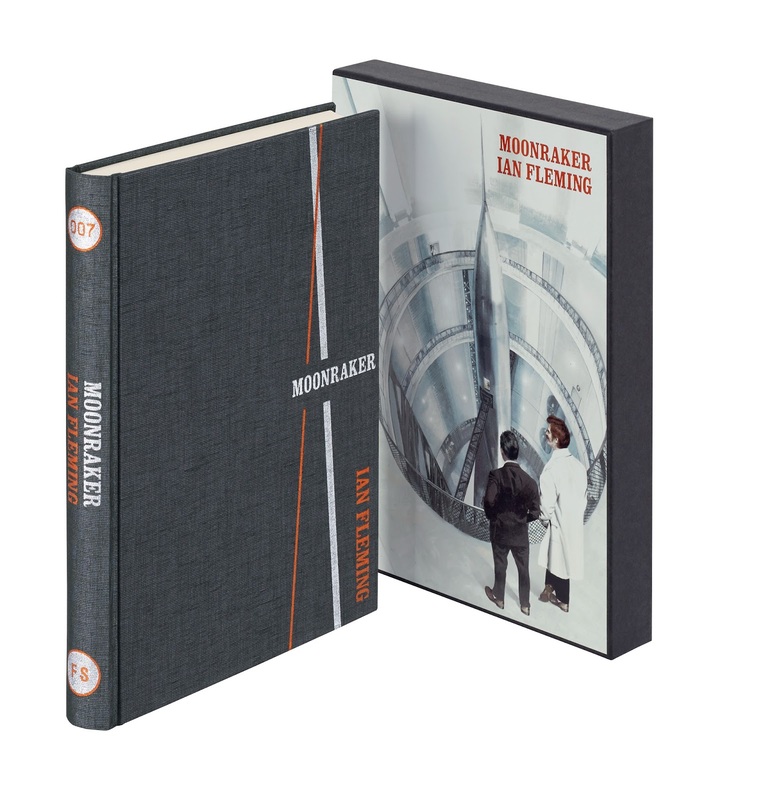 Anyhow 35 minutes ago The Folio Society went public with their new James Bond novel Moonraker that can be ordered directly at their website. 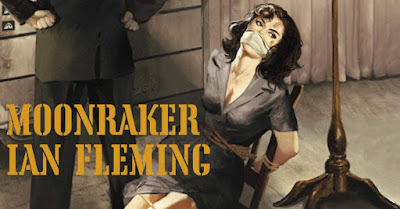 Included in this embargo was an early opportunity to see all of Fay Dalton's paintings and especially the fantastic cover she has made. In my opinion she has outdone herself and will have it though in the future to reach even higher level. I can also see how hush she seems to enjoy to draw women and that the fact that James Bonds face should always hidden in mystery. All I can say is that I was earlier a bit sceptic about this release. Especially when I did not know if the complete series where to be released. Now that The Folio team has said it will and the drawings are fantastic and each book comes in its own slipcase there is not much to think about. I was given my book by the Folio Society today and I just love it. The cover is even better when you hold the book. It seems so massive. I am all in and cant wait for the next book to be released. My guess is that it will be Diamonds are forever and hopefully we will see it out before April next year. But you never know. As it reads, just a guess. You can order your copy of Moonraker from The Folio Society right here. and if you have none of the books you can order them altogether and get a 15% discount right here.